Discussion in 'Intel Processors' started by Astrowind, Feb 13, 2019. I know this seems like a useless question. But, since socket 775 lasted a long while and we've been on 14nm for several years now, when I read Tiger Lake (7nm) (EDIT: I just read it will be on 10nm) will come out soon after Ice Lake (10nm), would it really be worth it to skip 10nm and just wait for 7nm? It is indeed nanometer. While Youtube has some very well educated people, there are a ton of posers and pretenders. As for process node, process node really has no impact on what socket the processor uses. Socket design (backwards compatibility or not) is all done by the engineering team, with some input from marketing I'm sure. As for skipping this generation for the next, depends on what you want out of your computer. If it doesn't do what you want/need it to do now, upgrade now. Otherwise, it's always best to wait until you want/need to upgrade. In terms of socket longevity, SINCE Intel has started Integrated memory controllers Intel has let sockets lasts two generations. 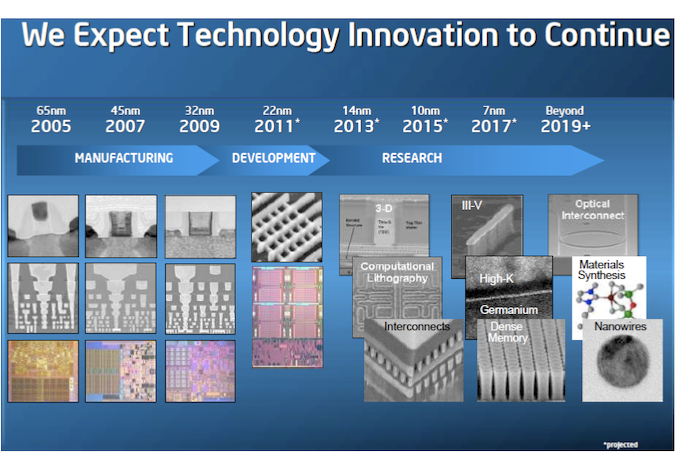 It only stopped being "new processor architecture, then die shrink next year " after 10nm took way too damn long. We're still not sure on whether 10nm chips will launch on the same socket as Coffee Lake, but that really depends on how quickly they can be put large chips into production. If it's not until next year, I'd expect a new socket. Coffee Lake Refresh was just Intel anticipating AMD's Zen 2 7nm, and knowing they have no 10nm chips for another year. Well, looks like the competition went down even to the Pentium level because the Pentium G5400 is probably about the same performance (deducting from benchmarks I've seen) as my i5-4570 but less expensive. Much like that i5 served you well for 6 years, the 6-core processors you can buy now will have a similarly long-life. My system hasn't changed in the last 6 years (i7-4930k with GTX 690) and likely won't change for another 2-3 years. With the games I play, I don't see a need to until I upgrade to 1440p monitors. Buy what you need when you need it. Only exception is when it's obvious that there's a release imminent, and I do mean really imminent- not just 'something's always around the corner' imminent. Legendary Gamer and TheFlayedMan like this. 7 nm will be coming out in 2017. /dev/null, Formula.350, Shadowed and 4 others like this. 90nm took everyone about a year longer than expected, but the industry recovered and kept to 2 years/node change. Then 14nm came along,and the industry lost. Here's the funny thing about process nodes: the "shrink every two years" didn't happen until the 1990s. Before that, process tech shrunk about every four years, because the industry was still learning. Different process types ( e.g going from nmos to nmos depletion mode), or a larger silicon wafer size could have as much positive effect as an actual node shrink. Moore's Law only existed in the senses that tons of easy-to-implement process optimizations , along with increasing levels of automation meant actual production would roughly double every 18 months. And though the costs did not stand still, they tended to rise a lot slower than the profits. The Motorola 6800 was fabbed on a cutting-edge process featuring 3 inch wafers. Jumping from 3" to 4" gives you 75% more area, so if you maintain yields, that is how much you raise your profits (minus cost of larger wafers and upgrade). We're till trying to work the way through 18 inches, but if they ever can it will increase throughput per-wafer by over 100%. It was just as much about learning to mass-produce larger processors with less defects as it was the march to smaller node sizes. Otherwise, the PC performance revolution would never have happened. It wasn't until Intel hit the power and 12-inch wafer size wall with the the P6 that they cared about their process node feature size at all. This is the same system that drove the 3D graphics industry: die sizes ballooned from 90 mm^2 (TNT) to 500 mm^2 (8800 GTX) in just ten years, as the companies got better at custom silicon. The the lack of competitors meant they could ram-up production. spine and Nightfire like this. OK, I want to add here it looks like I made a mistake. It looks like Tiger Lake will come out at 10nm. And I just found out before Ice Lake comes out, there will be yet another version of 14nm coming out (lol) the Comet Lake coming out mid 2019 or later. In that case, I may not wait for Tiger Lake. However, when support ends for Windows 7 in January 2020, I'll still have a choice between choosing Comet Lake or waiting for Ice Lake. Since I have a Core2Duo (45nm) for Windows XP and my main machine with Win7 is a Haswell (22nm) and my backup machine a Skylake (14mn), I may very well wait for 10nm so I can feel like I actually had an improvement lol. Comet lake is Intel's 9th gen version of the 8086k, a way to steal some of the thunder away from Ryzen 3000. Many expect Icelake will be widely available early 2020. However, it will be interesting if they choose DDR5 or DRR4. If they choose to use Icelake/Tigerlake to use DDR5, they may have to push even further as I doubt DDR5 will be ready for prime time. Let us take a look to the rest of roadmaps of the epoch. @juangra - TSMC was predicting 10 nm in 2016. I would say they were much closer considering they have 7 mm in early 2019. Besides, it was just a joke. No need to go all nuclear on me. I read Intel bought a company to accelerate their progress with GPUs. That doesn't tell me whether Ice Lake or Tiger Lake will get the improved GPU. However, it does tell me now I'm not sure which one I'll get, Icel Lake or Tiger Lake. This is because when I complete a machine, I don't want to immediately be required to buy a video card. TSMC launched 10nm on late 2017, so they missed their own roadmap, and this 10nm is more close to Intel 14nm than to Intel 10nm. My goal was to put things in context to explain why Intel is having so many trouble and delays with the 10nm node. Since Intel announced 10nm in the roadmap that you linked, many things happened, including that Glofo canceled two 10nm nodes (first 10XM then 10LP), IBM foundries closed because couldn't keep developement, and resulting Glofo-IBM join finally healt 7nm (7LP). Only TSMC has been able to get a low performance node (7FF) with a similar density to Intel 10nm. The last CPU I bought was for my backup, the i3-6100 was $140 Canadian. The i5-4570 I bought for my main machine was $208 Canadian. The GTX 1050 Ti I bought was $200 Canadian but only because I wanted the model with heatpipes. I actually downclocked the vidcard to regular speed so it would still use only 75 watts and wouldn't turn on the fans. And the only expensive thing I usually do is add a Coolmeraster Gemini S4 cooler to my CPU because with heatpipes, if a fan fails for whatever reason, I have protection with the heatpipes. So, with a quality power supply and 120mm fans everywhere, I have near-silent machines that are reliable. By the way, are they still using silicon for 10nm and 7nm? How do you even know what Intel's density at 10nm even is? The one i3 they released on the 10nm node was a huge turd. Other than having impressive AVX performance, it was worse than other i3's on their 14nm node. So, for the time being I would imagine that no one knows anything meaningful about Intel's long speculated and massively delayed 10nm node. We don't know- but we do have Intel's history of product execution to go by. So if you were to make a bet, it'd be prudent to bet that Intel will have it figured. We know the densities of the libraries of the nodes developed by both TSMC and Intel. And for Intel, data isn't only coming from Intel foundry engineers at the 64th IEEE International Electron Devices Meeting (IEDM) that was held in San Francisco in December of past year (aka two months ago). I already explained Intel 10nm node is "massively delayed", because it is a very complex node. Rest of foundries either canceled a similar node (Glofo) or are out business (IBM) or released an inferior node (TSMC). The 7FF node released by TSMC has density slightly lower than the 10nm (HD) libraries by Intel (96 MTr/mm² vs 101 MTr/mm²), but the TSMC node only targets clocks in the 2--3GHz range. Moreover, this 7FF node is being used on small dies due to yields/costs. The TSMC node that will by used by AMD for Zen2 is 7HPC, which target clocks in the 4--5GHz, but is delayed (compared to 7FF) and has only a density of about 67 MTr/mm², which is closer to Intel 10nm UHP libraries (except that UHP targets higher clocks than 7HPC). Yup, amazing ain't it? Not by choice mind you... they've just not been able to come up with a viable, low-cost solution.